The German Lifesaving-Corporation e.V. (DLRG) is with over 1 Million members and supporters world's biggest volunteer water rescue organisation. Since its foundation in 1913 it has had the duty of protecting people from drowning. In the community Schwalbach the DLRG local group Schwalbach/Saar e.V. has been voluntarily taking over the statutory tasks since 1968. The local group Schwalbach/Saar e.V. is particularly active in the following fields: swim training, lifeguard training, youth work, operational diving and many more. 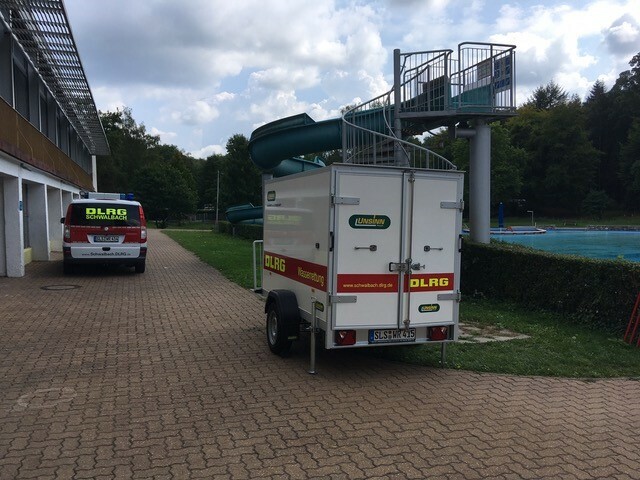 With an own UNSINN trailer, in which almost all material is stored mission-tactical usefully, the time to get to the place of service can be shortened significantly and therefore valuable time can be saved in case of a water emergency. This can make the difference between life and death. 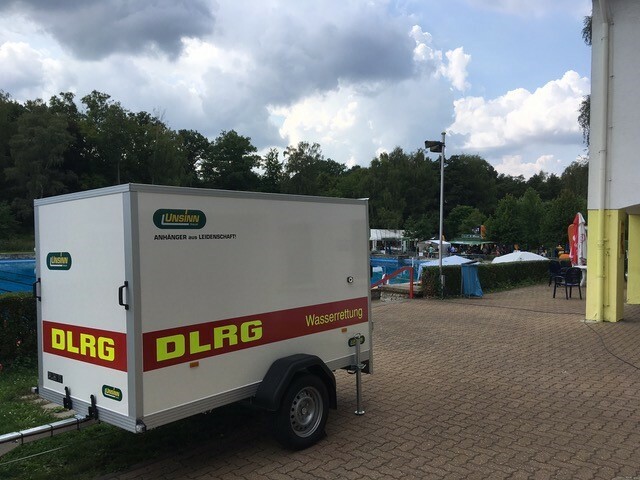 We were happy to support this great project in order to help the volunteer workers of the DLRG with their work. The inscription was implemented in corporation with the DLRG.